Eddy current drive technology can be a reliable proven alternative to traditional VFDs. An eddy current drive controls speed by regulating a direct-current (DC) excitation coil on a magnetic rotor, rotating concentrically with a steel drum, driven by the motor at full speed. Like the pumps and electric motors that drive them, eddy current drives are rotating machines. They are constructed with steel castings, fabrications, bearings and electrical windings. Most maintenance or repair technicians can easily understand these drives, making maintaining and repairing them uncomplicated. 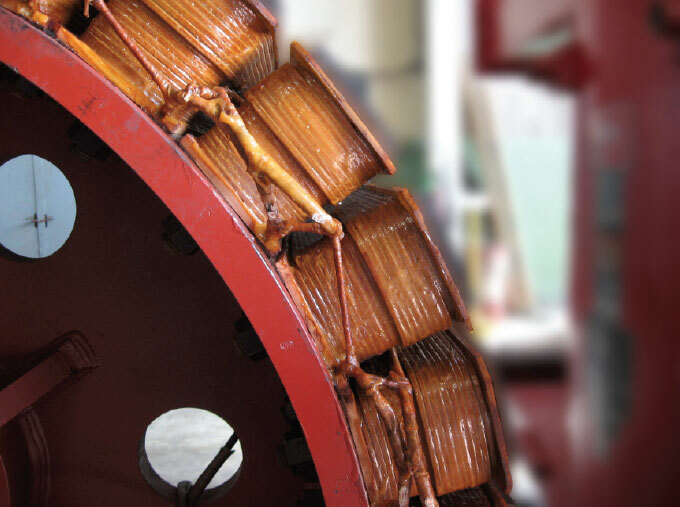 Regular preventative maintenance, re-manufacturing services, drop in replacements, and readily available wear parts are reasons why eddy current drives are widely found in active service thirty, forty and even fifty years after their installation. Eddy current drive technology has been used since its development in the 1930s. In the 1960s and 1970s, the eddy current variable speed drive was the most common choice when variable speed pumps or fans were needed. End users installed thousands of such units in applications in several industries, including after-treatment, wastewater treatment, booster stations and lift stations. 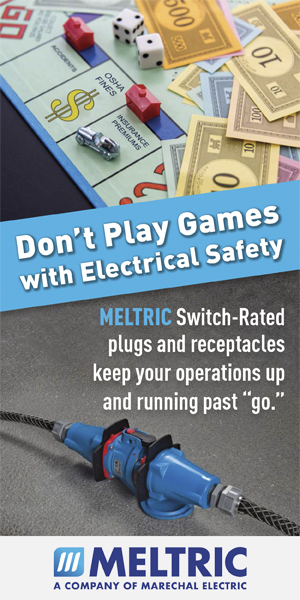 In the 1980s, it became popular to replace existing eddy current equipment (even when fully operational) with VFDs, based on claims they would reduce energy consumption. In many cases, this idea was shown to be misguided, considering the cost to repair or replace VFDs that fail before the pump and motor reach the end of their useful life. Eddy current proven technology has been being manufactured for almost ninety years. It is not uncommon to have vintage units in need of repair or replacement. 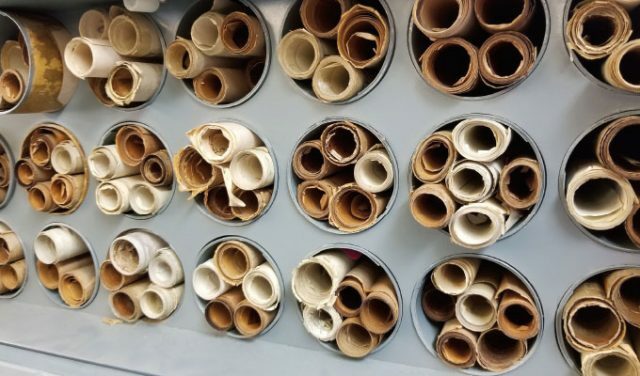 In such cases, manufacturers, like DSI/Dynamatic, have deep catalogs of reference material including original specifications, drawings, documentation, test requirements, and updated information. These records make finding drop in replacements for vintage units uncomplicated, as technicians, can use charts to cross reference vintage model numbers to its current replacement and or additional parts. An effortless way to keep mechanical units running as intended is with continuous regular preventative scheduled maintenance. 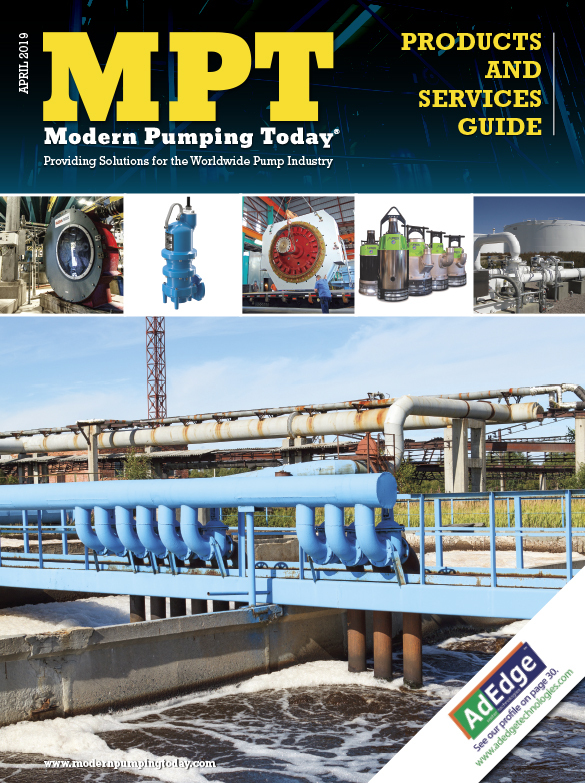 A three-story high 1,650 horsepower pump, 4,160 volt synchronous motor, and eddy current drive clutch at a wastewater treatment plant went in for its routine maintenance. At that time, the municipality replaced their outdated analog controlling system for the eddy current clutch to a new digital Dynamatic® EC-2000 high power clutch controller, modernizing the equipment. The drive technicians didn’t suspect any major trouble, with the mechanical units, but based on the low vibration experienced, they expect that it required a replacement of the bearings, a normal wear part on the eddy current clutch. While the motor was removed from the eddy current clutch, it was observed that the drum was beyond repair and had to be replaced. It was believed that the drum could be replicated with experienced workmanship. There didn’t seem to be any castings involved in the support system, only cut/weld fabrications. It was also discovered that the rotor poles (30 pcs) had been rewound improperly by a previous repair. These poles needed yet another rewind before reassembling the drum into the unit. Because of preventive schedule maintenance, drive technicians were able to remedy a problematic drum and rotor poles, before total failure of the mechanical equipment. That and the modernization with Dynamatic® EC-2000 controls the life of the equipment was extended. The other option, that of replacing with new motors with VFDs, would have cost millions. Today, it is not always necessary to replace the entire eddy current variable speed drive system with VFDs. Budget restraints and construction costs on large projects can hinder a complete remodel of an operation. This has been the case for large-horsepower applications that require medium-voltage (2,300 or 4,160 volt) motors. VFDs in these applications are large, expensive, and often require space that must be added on to existing buildings and be equipped with air conditioning systems that consume more power. Aftermarket services, like re-manufacturing, can be more cost-effective solution. An experienced drive technician can dismantle an eddy current variable speed drive or clutch, to its individual components, give a full report on the status and quote the repairs needed to get the eddy current variable speed operational to original specifications. Re-manufacturing or refurbishing eddy current units is a great alterative in large projects. Not only can the cost involved with completely replacing units be a great expense to a company or municipality, but refurbishing can uncover unseen, easily repairable faults from the initial installation. Case in point, on a large project of refurbishing one (of three) 2250-horsepower, 600-rpm eddy current drive and 12,400-volt synchronous motor. 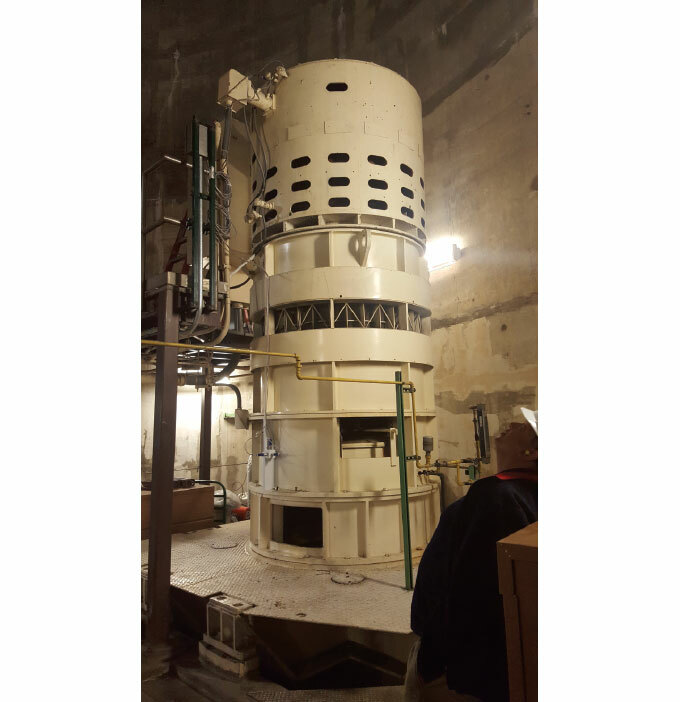 Originally, there were six of these eddy current units at the metropolitan wastewater treatment plant, several years back, three were replaced with new motors and VFDs totaling nearly $2 million. In the process of removing and reinstalling the eddy current unit, it was revealed that the removable structural base was inadequately supported, when first installed and the grouting on all the base supports was found to be a major issue, magnifying the motor and eddy current clutch vibrations. This had been one reason for replacement of the first three units with VFDs. After the bases were repaired, the motor and eddy current clutch assembly shaft was aligned, bearings were replaced, and all rotating equipment was balanced. The overhaul improved the original installation (circa 1976) and extended equipment life by greatly reducing the vibrations. The price of refurbishing one unit was well under $200,000. The benefits of eddy current variable speed drives have long been recognized to include, lower energy cost, lower ownership cost, and lower capital cost, but simplicity to maintain and repair must be added to the list of benefits, extending the overall lifetime of the equipment. Before doing a complete teardown and replacement to VFD, an owner or engineer would do well to investigate if preventable schedule maintenance or aftermarket re-manufacturing of an eddy current variable speed drive system might be a better an option to extend the life of the system? In most cases, the answer is yes. Dynamatic® is a brand built upon eighty plus years of reliable performance. Drive Source International, Inc. is the corporation that owns the Dynamatic® brand of eddy current adjustable speed drives, brakes, and controls. Electromagnetic eddy current design makes Dynamatic® adjustable speed drives and digital controls the choice for true system efficiency. For more information, visit www.dynamatic.com.